One vital issue that must be contested is that coal is cheap. Mr Abbott and many commentators repeat this erroneous statement. Mr Abbott has made the following statement that we can all contest in the interests of human and planetary health. Doctors for the Environment Australia has pursued the true cost of coal as a major initiative for several years. We have followed the Obama statement with two articles in the press. The first is in Crikey – Obama coughs up the solution to coal pollution. We thank the editor of Crikey for permission to reproduce this article below. The second article is co-authoured by DEA member Melissa Haswell in The Conversation – Not so cheap: Australia needs to acknowledge the real cost of coal. Both articles present the evidence that coal is expensive under full cost accounting – when health costs are included. 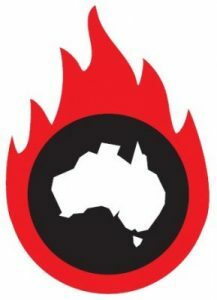 The facts are presented in the DEA policy paper How coal burns Australia; the true cost of burning coal. The US President is switching the conversation on climate change over to human health. Doctors George Crisp and David Shearman say he’s on to something. President Barack Obama has made one of the most important health statements ever made by a leader. It will save thousands of lives and much suffering. This week, in launching his new climate change plan, Obama focussed on the immediate negative impacts of pollution from power stations on people’s health. As Crikey pointed out, it’s a new way of framing the issue of reducing emissions, an approach that has not been much tried by Australian policy-makers. Obama’s decision recognises the health and new economic reality of coal mining and combustion; that safer and cheaper alternatives exist. And the health effects are considerable. Mining of coal produces dust and unseen “particulates” which are inhaled by those living in surrounding communities and near to coal corridors. Combustion of coal produces a cocktail of toxic gases, including sulphur dioxide and Volatile Organic Compounds, as well as particulates, the smallest (PM2.5) being inhaled and absorbed into the human body. Those people in towns and cities which use coal-fired stations to supply electricity suffer the greatest exposure. Numerous scientific studies have linked particle pollution exposure to increased respiratory symptoms, decreased lung function, worsening of asthma, irregular heartbeat and increased risk of heart disease, lung cancer, stroke and premature death. In the short term, as occurred in the Victorian town of Morwell (where a fire in a nearby coal mine burnt for weeks), exposure can cause heart attacks and asthma attacks. Over decades it causes heart disease, lung cancer and emphysema. Children, the elderly and those with pre-existing illness are more vulnerable. That’s why Obama chose to make his major climate announcement at the Children’s National Medical Centre. So what’s the size of the problem? In Europe, 18,200 premature deaths, 8500 new cases of chronic bronchitis, and more than 4 million lost working days each year, due mainly to respiratory and cardiac disease, are attributable to air pollution. That comes at a cost of 42.8 billion euros a year. In the US a study by Epstein at Harvard Medical School found the costs of coal-fired electricity would increase by up to 300% once health and other environmental costs were included. In China air pollution caused more than 1.2 million premature deaths in 2010, mostly due to coal combustion. These amounted to 15% of total deaths. In Australia studies on the health effects are meagre but it can be extrapolated that of the 3000 deaths per year from air pollution, coal is responsible for 1500. In 2009, the Australian Academy of Technological Sciences and Engineering estimated the health costs resulting from coal generation to be $2.6 billion per annum (or $13 per megawatt hour) primarily relating to ambient air pollution in Australian cities. In his speech, Obama noted that under his proposal to reduce pollution from coal-fired power stations by 30% by 2030, 100,000 asthma and 2100 heart attacks would be prevented in the first year, rising to 150,000 and 6700 attacks respectively. These figures reflect the 2011 published results of the US Environmental Protection Association (EPA) assessment of the effects of the Clean Air Act’s finding that the US economy had saved around $30 for every $1 invested in reducing pollution. A remarkable rate of return! Overall the economic value of these improvements is estimated to reach almost $2 trillion in 2020. And don’t forget economics. The killer economic blow for the coal industry is the study by respected US economist William Nordhaus. His conclusions have not been contested by any other economists. Coal-fired power generation was found to produce health and environmental damages from 0.8 to 5.6 times its value added. In other words, the damage caused is worth at best 80% of the net value of the industry and at worst 5.6 times greater. These remarkable findings indicate that at best, coal-fired power generation has no net economic value to the community. At worst the industry is a huge economic burden. The health and economic case has been made for the rapid phase-out of coal without even mentioning greenhouse emissions. When these are added to the equation the case is doubly compelling, for coal is responsible for a third of world emissions with further climate-related health and economic costs from drought, flood, famine, heat stroke and injury. Obama recognised he had to grasp this issue, not easy when the House and Senate are hostile. He has recognised the economic gain in reducing health externalities. He knows that coal has to be terminated if the world is to remain liveable and by moving to renewable energy now, he will put the US economy ahead of competitors. He is fortunate to have a national mechanism to protect heath bypassing the realm of squabbling, obstructive, elected representatives — the independent EPA, ironically developed by former president Richard Nixon. Alas, Australia has no comparable mechanism to protect our health. As was the case with smoking and tobacco control, the medical profession has been among the first to recognise the risks associated with coal. 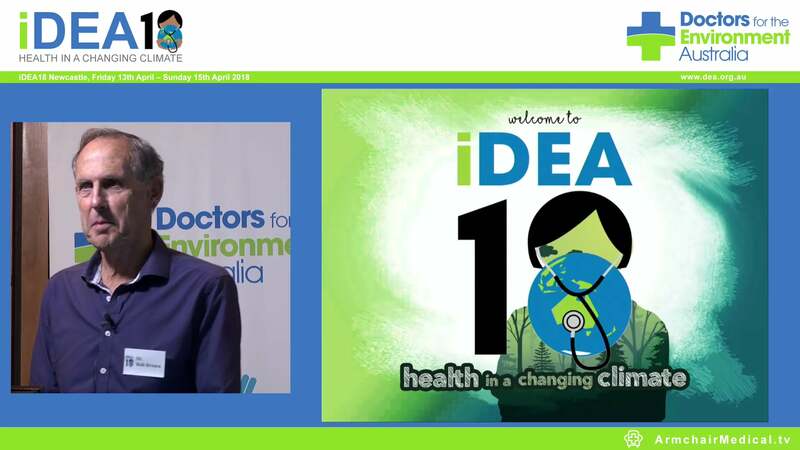 Doctors for the Environment Australia made representations to the previous government on air pollution, to raise health issues, but was unsuccessful. This may well be due to either allegiance to or intimidation by the powerful coal and gas lobby. This is a missed opportunity, as explaining the health co-benefits of reducing emissions may well have proved reason enough to act for those still unconvinced by the need based on climate change alone. It may also prove much harder for the vested interest industries to denounce action to safeguard Australians’ health.